Last week, we learned that a new short story set in the world of Game of Thrones would be out this year as part of Gardner Dozois’ fantasy anthology Book of Swords. But now the author has revealed what the story is about—specifically, a lot of intriguing history for House Targaryen. Following the early announcement of Martin’s contribution as one of the 15 stories in Book of Swords, the author took to his media platform of choice, Livejournal, to clarify just what the story is. 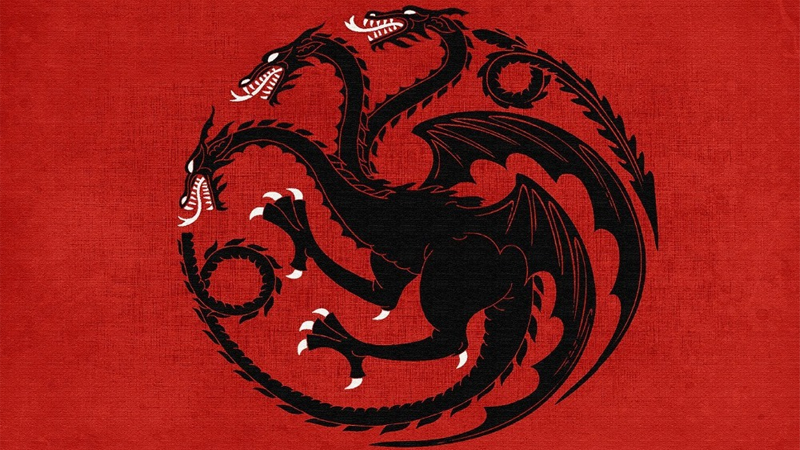 And the story—well, more of a historical retelling than a tradition story—is “The Sons of the Dragon,” chronicling the history of the second and third Targaryen kings to rule over Westeros after Aegon the Conqueror landed on the continent: Aenys I, and Maegor the Cruel. For fans familiar with Martin’s convention appearances or the A Song of Ice and Fire lore book The World of Ice and Fire, “The Sons of the Dragon” is actually a familiar tale, and not newly-written material that distracted from Martin’s ongoing work on the next entry in the saga, The Winds of Winter. The backstory for Aenys and Maegor’s reigns was already extensively written for The World of Ice and Fire, but Martin ended up drastically cutting down what was in the book because he’d written (and has since kept) tons and tons of pages worth of Westerosi history, more than he could include in World of Ice and Fire. “The Sons of the Dragon” is part of that cut material, and a story from which Martin has read at convention appearances for a while, and offered to Book of Swords as Martin simply didn’t have the time to write something new. In his Livejournal post, Martin says that all the extensive history and lore that was cut from World of Ice and Fire—350,000 words worth of it!—will, one day in the far future, be collected in another faux-history collection called Fire and Blood. But for now, we’ll get another glimpse of it as part of Dozois’ anthology, when it’s released in October. You can check out a full list of contributors to the collection at the link below.